Getting a loan when you have a poor credit history can be difficult. Mainstream lenders, such as banks, tightened their lending criteria during the recession, and haven’t let up much since. This has left people with poor credit struggling to get access to the credit they need. However, poor credit car finance is still available. A car loan is secured against the vehicle, allowing a customer to finance and use a car while the lender retains ownership of the vehicle. Secured loans represent a lower risk to the lender than unsecured loans, which means that poor credit car finance can sometimes be easier to obtain than other lines of credit. However, this set-up allows the lender to repossess the car if repayments are not made on time. Of course, there are many reasons why you might have poor credit, some that may be well out of your control. You could have a county court judgement (CCJ) against you, or could have failed to keep up with repayments on a previous loan. At the same time, some people have poor credit ratings simply because they have never had a loan before, so lenders do not have enough information to assess whether they pose a risk of not repaying the money. 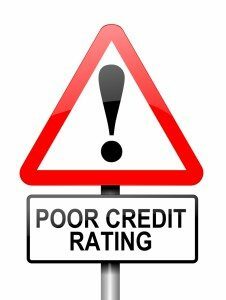 Sometimes, having no credit history can be viewed just as negatively as having poor credit! But the main disadvantage of poor credit car finance is that interest rates are usually much higher. This means that a larger amount is needed to be repaid in total. However, by keeping up with the repayments on your car loan, you can help to repair a damaged credit history. This is because steady repayments can prove to lenders that you can be relied upon to repay the money you borrow. Remember; before you accept poor credit car finance, make sure you have enough income to meet the repayments. If you can afford to repay the loan over time, poor credit car finance can allow you to get your hands on the set of wheels you need to get around. But, if you can’t afford to repay, your credit rating may be damaged, and this will harm your chances of getting financed in the future. The representative APR is 32.4% (fixed). If you borrow £5000 over 4 years at a rate of 29.32% APR, plus a £150 administration fee and £150 option-to-purchase fee, the first repayment is £318.55, followed by 46 repayments of £168.55 per month, with a final repayment of £318.55. The total amount repayable is £8,390.40.